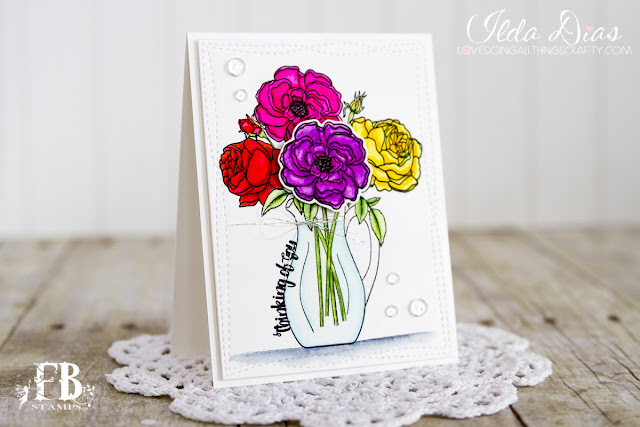 Today my card features FB Stamps Posies Stamp set that SOLD out really fast when they were just released. Well the good new is that they are now back in stock again! YAY! Take a closer look at these pretties. I just love how this card came together! All I did was a little bit of masking on the base layer of the card and then just cut out one of the flowers and popped it up with some foam in the center of the bouquet. 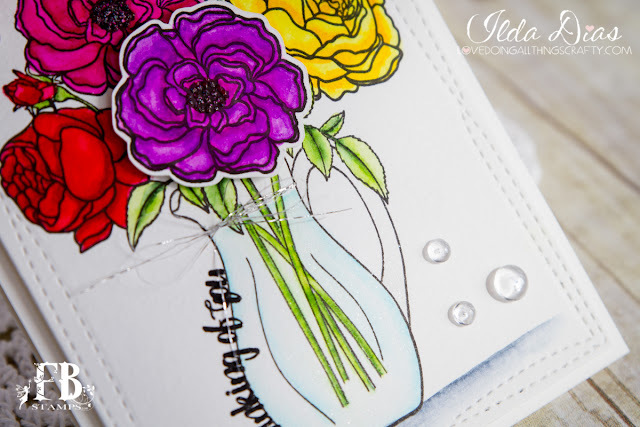 Colored the images in with my Zigs and stamped the sentiment along the edge of the pitcher... and voila! Want to know what supplies I used, check out the links below. Hope my Thinking Of You Posies Bouquet has inspired you to send someone flowers soon. Don't forget to stop by Fleurette Blooms Shop as she just restocked her supplies!